Estonia is one of Europe’s tiniest countries. The climate is not exactly sunny. Apart from forest, it lacks in natural resources. The population is so small (1.3 million) that you can drive for miles without seeing anyone travelling in the opposite direction. Sometimes the only comforting thought is: ‘Look at Iceland, they are even smaller’. Yet Estonia has made a name for itself in innovation, including everything ‘e’: eGovernment, eVoting, eTaxation, eParking, eMedical, eDefence and so on. All Estonians know, and are quick to mention, that Skype was invented here. Experimentation is relatively easy in Estonia. That’s where its small size really helps – the fewer people one has to convince, the quicker change can be achieved. Thanks to our tiny population, pretty much everyone here knows everyone else. Every Estonian has a schoolfriend in high office or on the board of a tech start-up. Such ‘cronyism’ works beautifully as it gets rid of barriers and allows for cooperation. The same is true for Estonian design education. Any project is but a phone call away. The Estonian Academy of Arts, the country’s main creative university, has about 500 design students. A sizeable portion of their studies includes joint projects with companies, government, NGOs and cultural institutions. In true Estonian fashion, people jump into the adventure head-on. The Academy of Arts was founded in 1914, but most of the partner institutions got their start in 1992, when Estonian independence was restored after the break-up of the Soviet Union. Companies and offices are run by relatively young people who are happy to try new things. In 2003, a group of restless graphic designers landed a job at the Academy of Arts and quickly began to reform Estonian graphic design education. From then on, study projects were aimed at a wider audience outside of school, connecting with real life. Flash mobs, performances and experimental exhibitions prepared them for more serious projects. In 2007, teachers and students together helped organise Estonian Design Year and launch the Estonian Design Centre. Re-design of the visual identity for the Tallinn City Transport Authority, which began as an Estonian Academy of Arts student project. Top: Students at the international graphic design summer school ‘Asterisk’ in 2014, led by artist Giacomo Porfiri and graphic designer Samuel Nyholm. In 2010, two young teachers from the Academy, graphic designer Indrek Sirkel and photographer Anu Vahtra, founded an independent publishing initiative Lugemik. Today it has become the most highly regarded art publisher in Estonia, working closely with artists, writers, designers and printers. 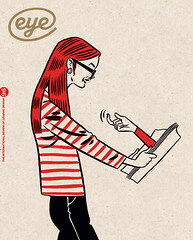 Graphic design students often intern and work for Lugemik, which publishes and promotes student projects alongside books on established artists. A good example is Knock! Knock! Books! – a partly fictional publishing house, initiated as a BA-graduation project by Else Lagerspetz and Loore Sundja. Their work consists of writing and publishing semi-theoretical fiction that plays tricks with the reader’s expectations. In 2011, during an accessible design workshop, one of the student projects concentrated on signage for the Estonian public transport system. The team (Kristi Rummel, Norman Orro, Ronald Pihlapson) learnt about co-creation methods and involved people from Tallinn City Transport Authority in the process. Transportation specialists liked what they saw and encouraged students to re-design the whole visual identity of our capital city’s public transport – buses, trams, stops, maps, pictograms and so on. Another young designer, Brit Pavelson, joined their team and a new spin-off company was born. 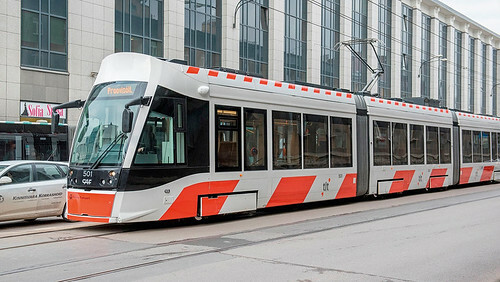 The following year they were awarded a Design Management Europe Award in Public Sector Design for the Tallinn transportation project. Many of our students continue their education abroad. Elisabeth Klement and Laura Pappa now live and work in Amsterdam, but have run an international graphic design summer school ‘Asterisk’ in Estonia since 2013. To date, more than 200 students and 30 mentors (including Karel Martens, Paul Elliman, Urs Lehni, Rebecca Stephany, Stuart Bailey, Isla Leaver-Yap, James Langdon) have participated. In 2017, building on this experience, Klement and Pappa organised a major international exhibition of recent graphic design. 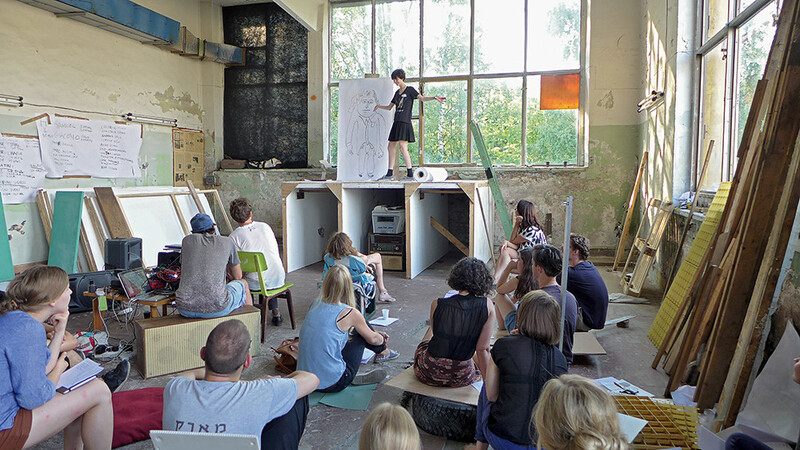 ‘Signals from the Periphery’ took place in Tallinn Art Hall, accompanied by lectures, workshops and performances. Students helped prepare and design the exhibition. In the autumn of 2017 a new international MA programme in Interaction Design was started at the Estonian Academy of Arts with the aim of ’learning by doing’. By the end of the academic year, students were already cooperating with the flagship of Estonian innovation, the eResidency programme which provides digital IDs for people all over the world. Our student teams conducted customer research and made proposals on how to improve the service’s user experience. A year on, the eResidency program has announced its plan to implement most of these ideas in their improved service and interface. A ten-year initiative with perhaps the biggest social impact for our nation came to fruition in 2018. It started as a student project by Johan Kallas, supervised by type historian Ivar Sakk. The project aimed to change the way handwriting is taught in Estonian schools. For all its modernity, Estonia is one of the few countries in the world still to demand that its first-graders learn cursive letterforms based on the tradition of quill and ink. This year our educational institutions finally accepted recommendations for new handwritten letterforms, designed by Professor Sakk. Other notable collaborations with institutions and companies have been with Tele2, Swedbank, Cleveron, Bradley Paper, the Estonian Police, the Estonian Rescue Board, the Estonian Ministry of Foreign Affairs, Estonian Television and The Estonian Federation of the Blind. Currently our students are designing eDemocracy in cooperation with the Office of the Prime Minister. Certainly the country’s smallness has its problems – it is not easy to find qualified instructors for all these projects. Also, since student teams are quite small, every member counts. And there is definitely a limit to how many real- life projects students should be exposed to. Not all learning ought to be based on external commissions. Real-life clients, no matter how enlightened, often impose restrictions on design. Students should learn how to cope with these, but a broader scope and a critical mind are also important. The Estonian example shows that there are no problems students cannot handle. They approach a wickedly complicated issue with little preparation, and in hardly any time at all are able to contribute their fresh ideas. Trust the young. A recent Erasmus student from a country with a glorious imperial past compared his homeland to a rusty old bucket, filled to the brim, leaking everywhere. Estonia, he said, is like a brand new bucket: there’s not much in there, but there is plenty of room for things that are new and exciting.